CAREER HIGHLIGHTS: Appointed Jaguar Land Rover CEO in 2010, he joined the automaker from German industrial gases company Linde Group, where he rose to head of global operations during eight years with the firm. 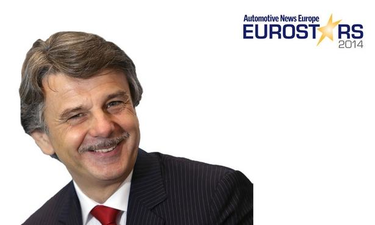 Started his automotive career in 1980 with BMW and spent 20 years with the automaker. From 2000-2002 he worked at Ford's Premier Automotive Group, which formerly included the Jaguar and Land Rover brands. REASON FOR WINNING: Speth guided Jaguar Land Rover to a record full-year net profit of 1.9 billion pounds (2.4 billion euros) in its fiscal year ended March 31, up from 1.2 billion pounds in the comparable period. The success was a bright spot for JLR owner Tata Motors, which saw losses at its car and truck business in India widen. In the first half of this year, JLR's global vehicle sales increased 14 percent to a record 240,372. JLR is poised to get another sales boost from the new Jaguar XE.